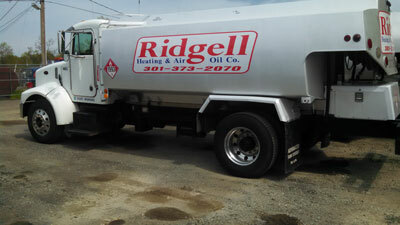 Home heating oil has been a staple of our company for over 30 years serving Southern MD, including the communities of Mechanicsville, Hollywood, California, Great Mills, Lexington Park, Waldorf, La Plata, Hughesville, White Plains, Solomons, Prince Frederick, Huntingtown, Owings, Dunkirk and all of St Marys, Charles and Calvert Counties. Our goal since 1981 was to keep our Southern MD neighbors warm through the winter months. Today while using the latest technology, competitive pricing, and prompt deliveries will also remain our primary focus to make sure no one is left in the cold. With automatic delivery you do not have to worry about running out of oil during the cold winter months. Even if there’s a storm on the way or we’re locked in a cold spell, we look after you and adjust to weather conditions to ensure you get your fuel in plenty of time. When temperatures stay moderate, we know you’ll be using use less fuel so we adjust the time between deliveries accordingly. So why not sign up for this FREE service, prevent run-outs, and let us do the work for you! Don’t wait until your tank is all the way empty before calling to avoid a furnace startup charge. Calls placed in afternoon may not get same day service depending on our work load scheduled. If snow, leaves or other debris cover your fill pipe, it will take us longer to put oil in your tank and this can delay our drivers' delivery schedule for everyone. You can help our drivers by following these tips. Keep a clear path to the fill pipe, especially when leaves are falling or after a snowfall. Keep any shrubbery near the fill pipe trimmed year-round. Secure all pets so they don’t interfere with the delivery. Mark underground tank fill pipes with an object for the driver to locate easily.